Museums used to be able to rely solely on the strength of their collections to attract visitors. But these days, there are many other options competing for people’s time and attention: from movies, the internet, all kinds of outdoor pursuits and sporting events, to markets and shopping. In order to be on the consideration list, museums are taking an even more strongly customer-focused view by responding to what people want, with outstanding service a vital part of the mix. The challenge is to offer an overall visitor experience that helps attract larger audiences. 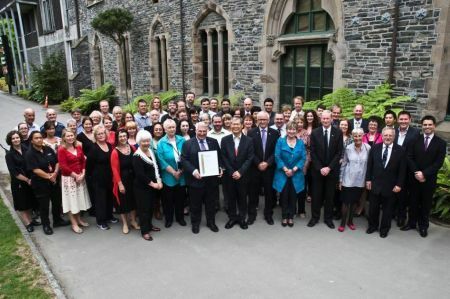 Canterbury Museum in Christchurch took the lead with ServiceIQ’s museum training programme. Canterbury Museum Best Practice Manager Lesley Colsell believes the training has many benefits. Lesley believes it is important for all staff – from curators and researchers to collections managers and the frontline team – to have a solid appreciation of what others do in order to do their work well and create the right experience for customers. To Lesley, getting that initial touch-point right and making sure everything goes off without a hitch is crucial to creating a great impression that makes people to want to visit again. She also recommends the Māori component of the programme. It dovetails seamlessly with the Museum’s own learning and development programme which incorporates bicultural understanding. The big question though, is whether the training along with other initiatives is really working for customers. With a goal to provide world-class service and keep customers coming back for more, the museum’s customer satisfaction surveys provide the best indication. “We easily achieved our KPI with over 95% of visitors saying that they were satisfied or very satisfied with their visit to Canterbury Museum,” says Lesley. The museum experienced a bit of a drop in visitor numbers after the Canterbury earthquakes, but this lull was short-lived and now visitor numbers are back to pre-earthquake levels and rising. The museum was also the first organisation in New Zealand, and one of only a handful in Australasia, to gain Gold Accreditation as an Investor in People. The ongoing success of the ServiceIQ programme at Canterbury Museum has helped encourage many more of New Zealand’s museums to follow suit. Institutions which have also invested in the training include: Toitū Otago Settlers Museum, the Govett-Brewster Art Gallery, Pataka, Te Papa, The Dowse Art Museum, Southland Museum, Nelson Museum, Carter Observatory, Wellington Museum of City & Sea, Napier’s National Aquarium of New Zealand, the Air Force Museum in Christchurch, and the Bank of New Zealand Museum in Wellington. Lesley believes that the popularity of the programme is down to the fact that it enables staff to learn about customer service and to gain an understanding of how a museum operates.